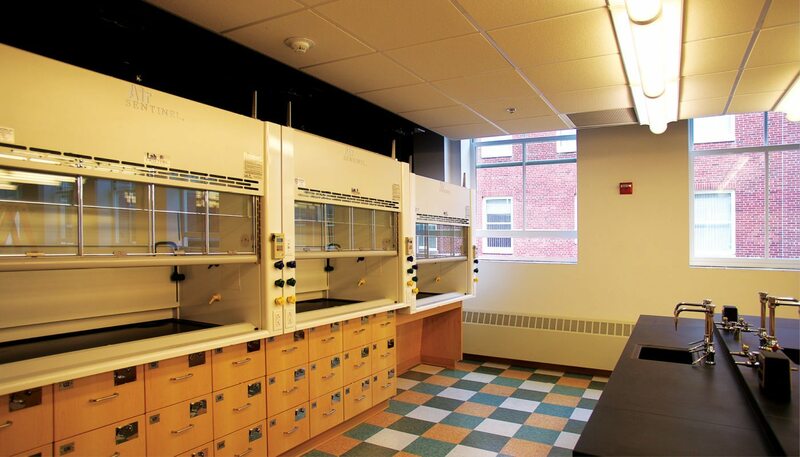 WBRC has performed multiple studies and multi-phased renovations at University of Maine’s Aubert Hall’s marine sciences and chemistry laboratories. 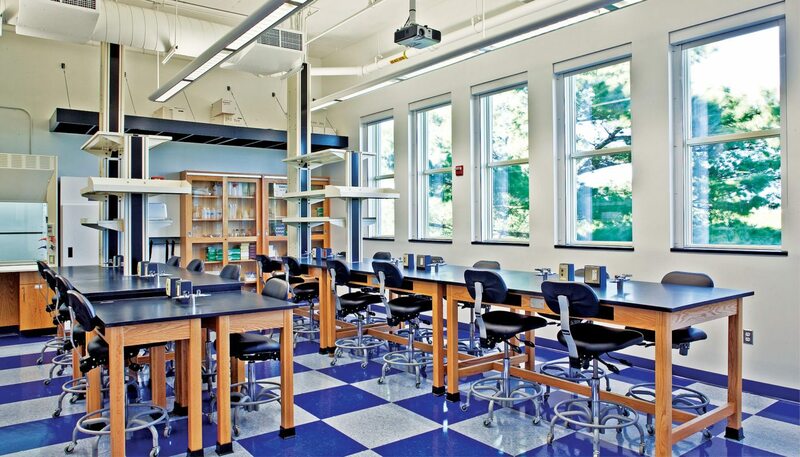 Initial scope of work included construction of a new dry laboratory, wet laboratory, and lab prep room. 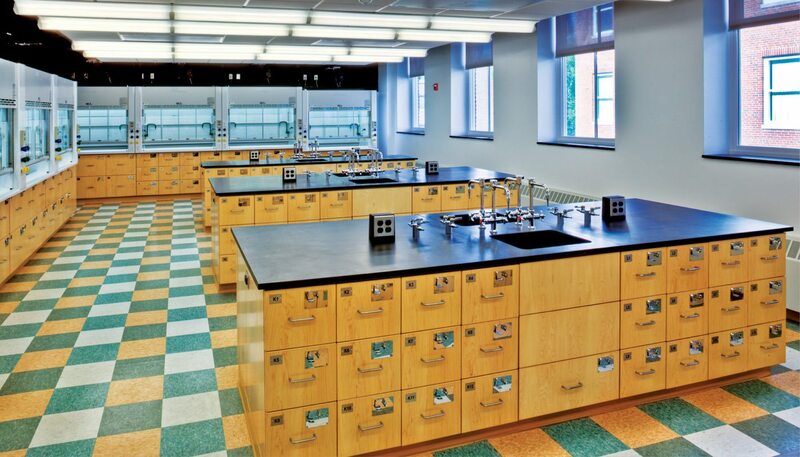 Space renovations included new finishes, lab benches, fume hoods, walk-in cooler, laboratory plumbing fixtures, plumbed laboratory compressed air and gas services to benches, new VAV boxes, supply and exhaust air valves to provide high volume airflow for laboratory requirements. 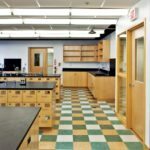 Second phase included low-volume fume hoods, energy recovery systems, energy-efficient lighting and controls, and power and life safety system improvements. HVAC system components were selected to allow for future building renovations. 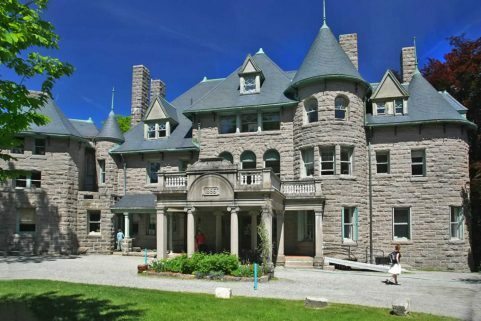 WBRC provided concept study services, including full upgrades, to the historic west wing of Aubert Hall, which was constructed in 1913. 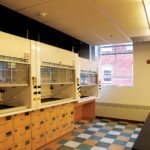 Study included upgrades to the chemistry labs, breakout classrooms, lecture hall and adjacencies, and existing exterior windows and envelope. 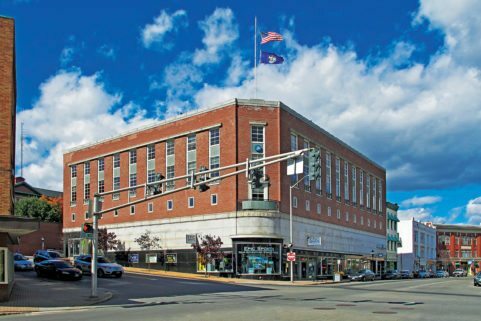 The building’s heating and cooling plant, as well as the energy management and automated HVAC controls systems, were reviewed. Electrical systems, including electric service, emergency power, and life safety systems, were reviewed. A complete assessment of the facility, including renovation costs necessary to complete the improvements were outlined in the report. 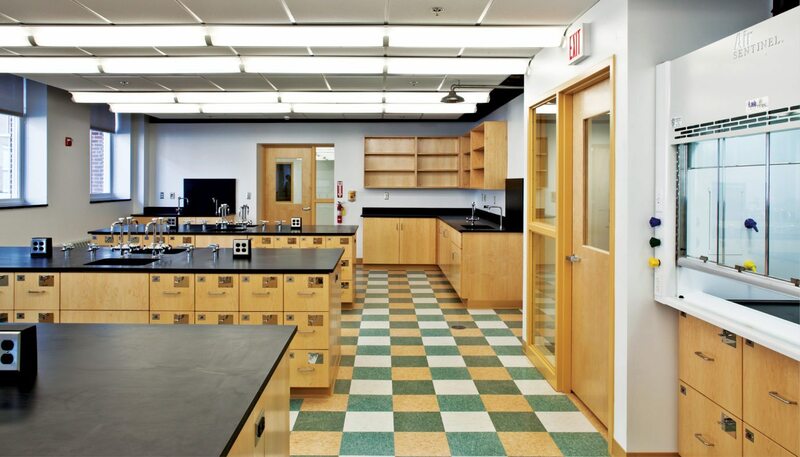 This Phase 1 project consisted of renovations to an existing corridor and three adjacent vacant classrooms located on the fourth floor of the east wing of Aubert Hall, a space designed to accommodate the university’s Marine Sciences program. 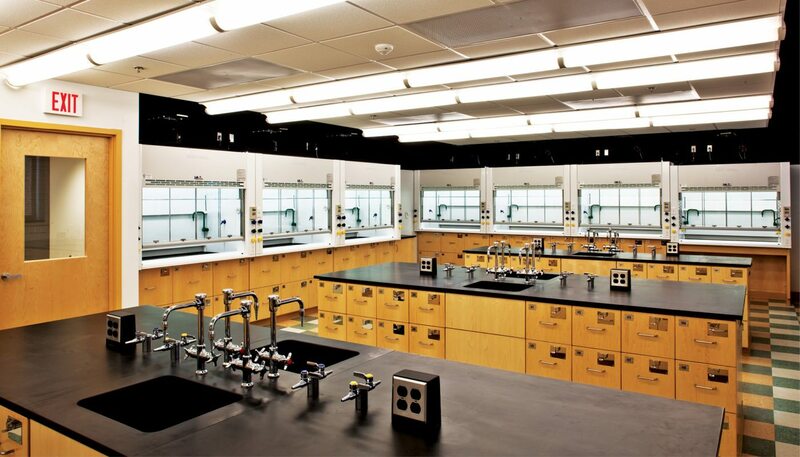 The scope of work included construction of a new dry laboratory, wet laboratory, and lab prep room. 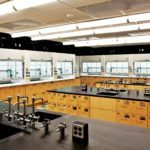 Space renovations included new finishes, lab benches, fume hoods, walk-in cooler, laboratory plumbing fixtures, plumbed laboratory compressed air and gas services to benches, new VAV boxes, supply and exhaust air valves to provide high volume airflow for laboratory requirements. Work also included new digital projection systems, energy-efficient lighting and controls, power, and life safety system upgrades. Renovation work was accomplished while adjacent spaces were occupied. This Phase 2 project consisted of renovations to the first, second, and third floors of the north end of the west wing of Aubert Hall. 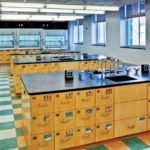 The scope of work included complete renovation of three science labs, adjacent breakout classrooms, corridors, and construction of a new two-story mechanical room addition. The exterior façade received replacement of all windows throughout the entire west wing. 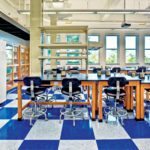 The WBRC team used an integrated design approach working with stakeholders to reduce fume hood heating, cooling, and air flow demands for varying levels of occupant use. 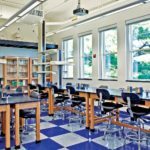 Design included low-volume fume hoods, energy recovery systems, energy-efficient lighting and controls, and power and life safety system improvements. HVAC system components were selected to allow for future building renovations. 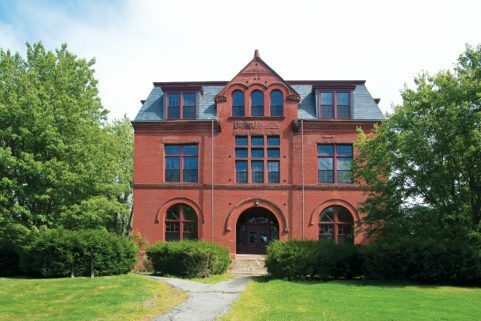 WBRC worked with UMaine to solidify objectives, constraints and criteria, space requirements, flexibility, expandability, special equipment and systems in order to transform additional 50-year old spaces within Aubert Hall into 21st century STEM education classrooms. Critical success factors for this project, which required merging modern technology, functionality and aesthetics, included: Focus on functionality for teaching; flexibility to enable students to work in small groups; seating capacity of 150 in Lecture Hall 316; efficient energy use; durability, and maintaining schedule and budget. Feedback from faculty helped determine specific priorities including quality writing surfaces, blackout shades, acoustic controls, and flexible seating. 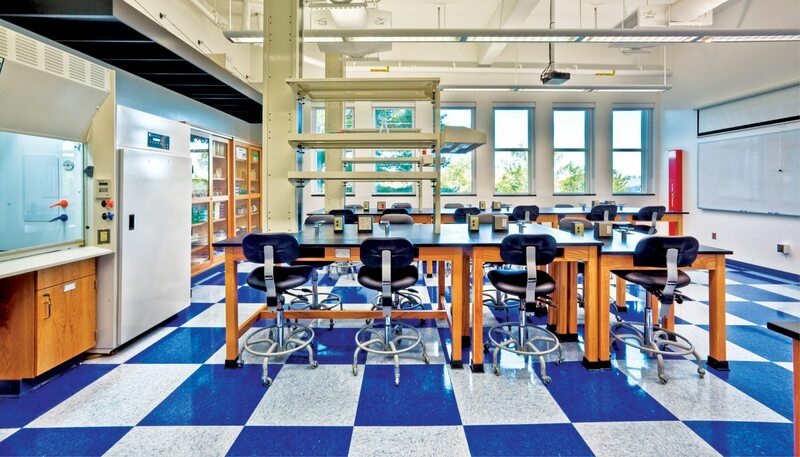 Resulting efforts completed in 2015 include renovations of Aubert’s Lecture Hall 316, a fourth-floor laboratory, breakout space, and a classroom. 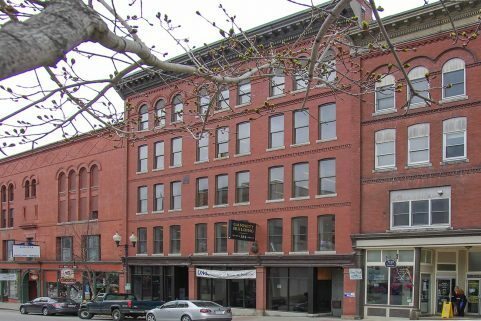 These renovations were completed while the building was occupied, on time and on budget.